A typical computer monitor - don't panic if it goes blank! If you boot up your computer and see that the monitor goes blank, don't panic! Computer monitors are a critical element of your PC. So be sure to understand how they work and you'll save yourself a lot of headache and pain. 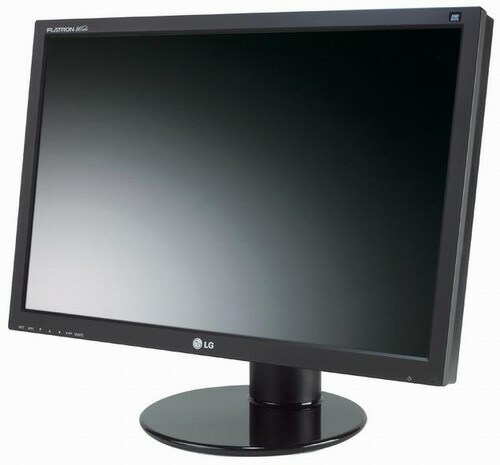 In this article, we'll look at the top 5 reasons why a monitor goes blank. Once you understand the reasons, you'll understand how to troubleshoot the problem more easily. The number one reason why computer monitors go blank is - wetness. Believe it or not, when your computer monitor is exposed to humid air, sometimes water can condense and accumulate in the monitor. This causes the monitor to malfunction and go blank. I've had this happen to my desktop PC at least three times before. What you need to do is to leave the monitor alone for some time and allow the water to evaporate. That usually solves the problem. The next reason why your computer monitor goes black is due to a faulty graphics card. The best way to detect this kind of problem is to connect up a new monitor to your PC, then check if you have a blank screen. If you continue to have a blank screen, then it's likely your video card is faulty. This one is less obvious and less common, but it can happen. You might sometimes get bad RAM modules which prevent your PC from booting up even to the basic BIOS startup screen. To detect this kind of problem is more troublesome, you might need to remove those RAM modules and insert them into another computer. Another reason why your monitor goes blank is due to loose connections. The connection from the monitor to the mains is usually a culprit, as is the connection between the monitor and the video card. Check those connections before you declare your computer monitor as faulty. And the final reason why your computer monitor goes blank? It's possibly because of a short circuit in the motherboard. This is the most undesirable outcome of course, as you might have to replace your entire motherboard. However, it's possible that this can happen - so keep your fingers crossed and hope it doesn't happen to you. And there you have it, the top 5 reasons why your computer monitor goes blank. Make sure you do a mental check of the above points the next time your monitor goes blank - don't be too quick to declare your monitor as faulty. Until next time, happy computer building!